If no one has a patent, you win. You can patent and own that idea. The innovation will be your IP. But if someone else already patented your idea or part of it, you may still have a large commercial opportunity. How far does their IP go? What new applications and features are you adding? Can you patent your new additions which will make them your property? First, does someone else own your business and value it? When an innovation catches on, those with its patents own it. The key issue is who owns the patent, because that’s who carries its stick. Patents don’t mean much if the owner is a small company or an inventor. But VCs and investors won’t back them if their innovations are not patented. Patents are the only way a small company sits at the big boys’ table. If the startup receives an M&A offer, the patent may decide why they are bought and how much they are paid. But if a large company owns the patent, their stick is as big as they want. Their researchers create some of their patents. But often, they buy early stage startups to acquire their people, products, and patents. 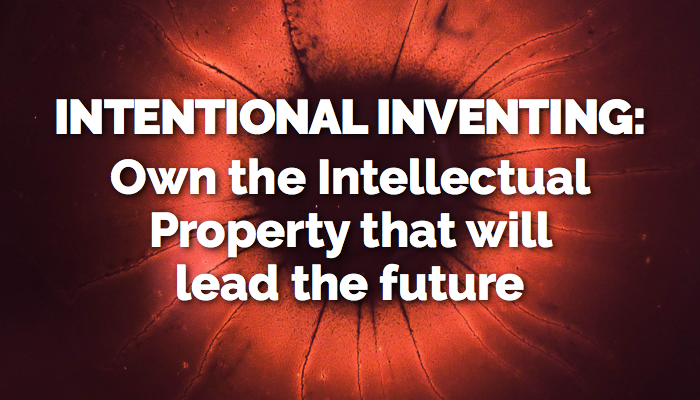 How do you create patents that will own the future? Focus: Choose your industry, the field where you are in business, or what you’re passionate about and want to improve. Resources: Use brainstorming, Google, or another source like an industry association. Location and supplies: If you use a conference room with a whiteboard, you can use 3”x5” Post-Its and Sharpie markers. Action: List the top problems in your field. The “top 5” is enough, “top 10” is better, or if you know which problems you want to solve that will work. Check that you’re making good choices with a quick Google search. Research: Pick one metric like the number of people impacted (scale), frequency (rate of occurrence), or cost (losses or direct costs). Use that metric to estimate, or search and find, the number for each problem. Rank the problems: Move the problems into one column. Use the metric to put the biggest problem at the top. Filter and focus: Keep the problems you want to tackle most. Move the other problems to the side. IP is likely to be available. Best of all, these problem descriptions are often enough for a patent researcher to tell you what IP is in each problem area, so you know the kinds of solutions you might add where you’ll own the key patents. This patent map is an example of what some kinds of IP research can show you, starting with your first ideas. The surprise is the IP clusters. Many IP owners invest in a related patent portfolio to protect the technology they use in business. Since “big problems” do not have solutions, you might develop new IP in an unprotected “white space” between the patent clusters. First, do bits and not atoms. 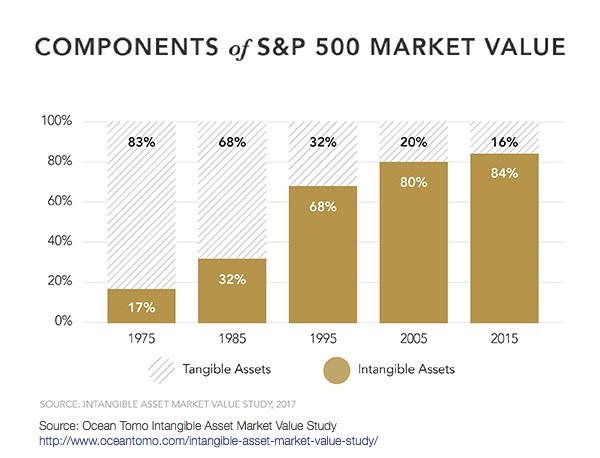 Industries like steel, autos, appliances, and pharmaceuticals have slow and expensive growth because they transform atoms, then move their products through a supply chain from manufacturing to customers. In contrast, digital computers transform bits and deliver them instantly via networks. Both the Internet and global digital businesses have taken the lead in years. These include digital-first companies like Amazon, Google, Facebook, eBay, Netflix, Salesforce, Uber, and many more. Second, respond instantly to each consumer inside their moments of need. Switch to Connected Consumption and make every consumer a personal relationship. Evolve business operations to Visible Markets that deliver what people need, when and where needed. Make that “digital first.” For example, make each user problem and need a trigger that calls a personalized, instant solution. Help each person immediately when they need it, with “next best step guidance” so they experience immediate success. Turn user problems into scalable delivered solutions, worldwide, at nearly zero marginal cost. Third, do exponential growth, not linear growth. Build a digital solution for 10 people that will scale to 1,000 and 10,000. When that works, scale it to a million. Keep improving it to scale to 100 million then 1 billion. Move bits over networks, not products through supply chains. When you deliver near-zero-cost bits at scale to solve people’s problems instantly during their moments of need, your patents will lead the future. Intellectual property will be your friend, and so will the millions of people that you help, perhaps every minute.